We use real names on the Garden School Council site to help protect our kids and to help build our community by connecting real people with the words they post on our website. If you decide to post a comment or create a news item, then your first and last name will be visible to the public. Your name may be discovered by other registered users even if you don't post anything. Your username and email address will always be kept hidden. Canada’s Anti-Spam Legislation (CASL) prohibits us from sending you "commercial" emails, unless you explicitly consent to receive them. The School Council at Garden Avenue Junior Public School is a non-profit, volunteer organization. But some of our email updates (including all fundraising notices) fall under the CASL definition of "commercial" emails because they encourage you to donate or spend money. This consent is required to subscribe to our newsletter, but it is not required to simply create an account. If you choose not to receive such messages, you will still be able to learn about most events and news by visiting the website: you just will not receive emails about them. You can change this preference at any time by simply logging into the site and editing your account. This section is optional. For child safety and to meet TDSB privacy guidelines, some parts of our site are restricted to parents and staff. You can still create an account and participate in the public areas of our web community without checking one of the declaration boxes below. I declare that I am a parent or guardian of a child currently enrolled at Garden Avenue Junior Public School. I declare that I am currently a teacher, teaching assistant, or other employee at Garden Avenue Junior Public School. 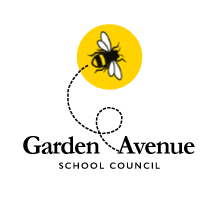 This School Council website was created by the families of Garden Avenue Public School, to keep families & friends up to date on school activities and community events. This website is not affiliated with the TDSB.